Maintaining competency, managing and retaining people, monitoring performance and finances, staying in compliance with regulations, keeping customers satisfied - enterprises today are reeling under pressure from all quadrants. Will digital transformation driven by Angular JS web development help? The world of technology is rapidly changing. The recent updates and enhancements with Angular JS, the leading web application framework maintained by Google, has strengthened it further making it more reliable, agile and secure for enterprise application development. Take a glance at some of the salient features and their usability for an enterprise. Everywhere digital agility is a must to let people stay productive no matter what they do, and what departments they belong to. Access to the right information to the right person and at the right time is pretty much essential in an enterprise ecosystem. Timeliness and accessibility matters a lot in planning and execution of a business program or campaign. Introduction of HttpClient with Angular 4.3 is an important step in this regard. This helps @angular/common/http to create an API that connects front-end AngularJS applications seamlessly with the backend services. Wondering? Actually, HttpClient complements the functionality of the browser API called XMLHttpRequest, and together they help the client application to communicate efficiently with the backend server. How an AgularJS developer can make use of HttpClient? He or she needs to install the HttpClientModule in the application module itself. Next step would be to inject HttpClient into their components and services. The cost of data breaches is expected to reach $2.1 trillion globally by 2019, claims Forbes based on a Juniper Research study. Data security is paramount to enterprises today. There are two kinds of security threats. First, external e-Threats and vulnerabilities and, second, the internal risks often due to growing adoption of BYOD, and utilization of cloud-based services that are often hosted by third-party vendors where the business owners have no control at all. 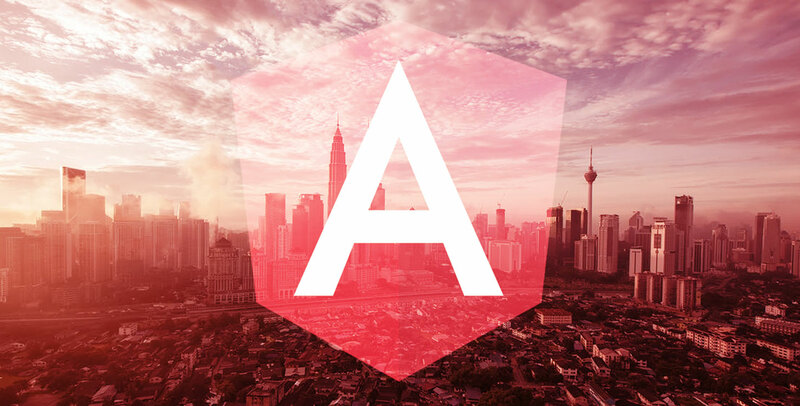 So, what remedy does Angular js web development has to offer? It offers the solution in the form of JWT. What does JWT stand for? Well, it’s a digitally signed JSON payload that helps with creating a validated secure session between the client application and the back-end server. The request made by the user or client-application has to pass through an authentication HTTP interceptor. Business needs are changing rapidly so should change the enterprise applications. Any implementation and execution delay is not acceptable. Automated and quick synchronization of updates or information between model and view helps the in-house IT professionals to keep the app updated so that it can cope with challenges or serve the intended purpose. Without any doubt, this is a must. For instance, if an eCommerce vendor doesn’t keep its store updated with the latest arrivals, or fails to replace out-of-stock product with the available ones, it will lose the attention of shoppers, or make them simply disinterested in dealing with it. Whether it’s production, sales, marketing, shipment, and delivery, or customer service, timeliness matters everywhere. Hence, to keep people productive, customers satisfied and regulators happy, businesses and enterprises bet high on Angular JS web development. Owing to the unmatched potential of Angular JS, there is a high demand for customer-facing as well as employee-facing enterprise applications. In the wake of it, it’s quite possible that you come across a self-proclaimed company, pitching like - the top-notch or Number#1 Angular JS web development company or similar. Hence, it’s important that you do a bit of exercise discovering the truth of the claim. What should you look for? While price and turn-around time is important but what is more important is competency in doing justice with the requirement. Has the company got a hands-on experience with AngularJS web development project? If yes, ask for the details. Do validate with some tangible evidences. For instance, if the company has an online profile on some business directory, you can dig information about its previously done projects, success rate, client reviews, and so on.